Megan Resch with a Saffire Miniature. Every successful nutrition program starts with science. And that science may translate to success in the barn. Such is the case for Saffire Miniatures. Sandy Resch of Lousana, Alberta, is a busy lady. As the wife of professional pick-up man, Jeff Resch, and a mother, Sandy has a full schedule. 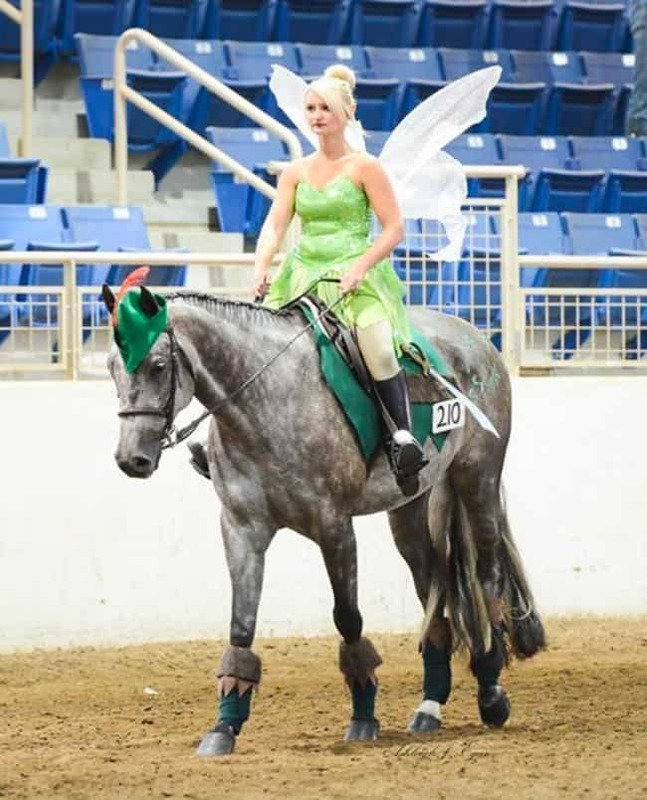 However in addition to all that Sandy works alongside her mother, Verna Cundliffe, at Saffire Miniatures, a breeding / training / showing operation exclusive to Miniature Horses. 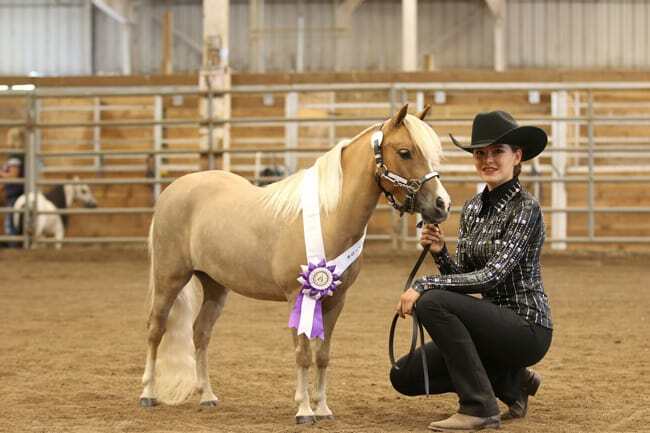 Along with her daughters, Megan and Haley, Sandy can often be found throughout the year showing at national and international levels of Mini Horse competition. 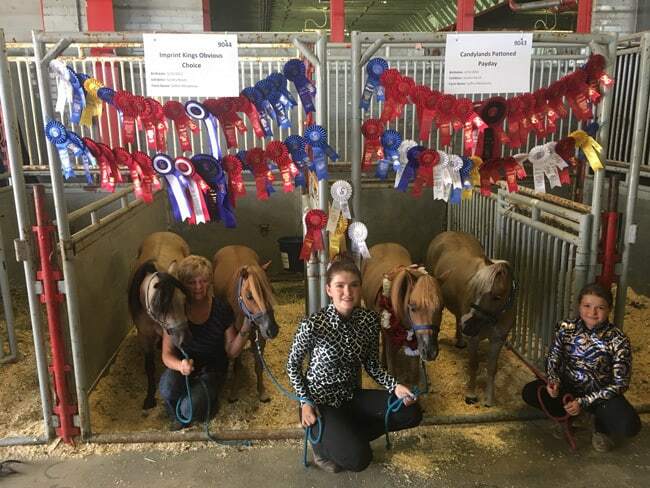 Verna Cundliffe and granddaughters, Megan and Haley Resch with their numerous awards at the Canadian National Miniature Horse show. When it comes to the health and nutrition of their Miniature Horses, Sandy says Praise™ hemp is giving them the competitive edge they need. 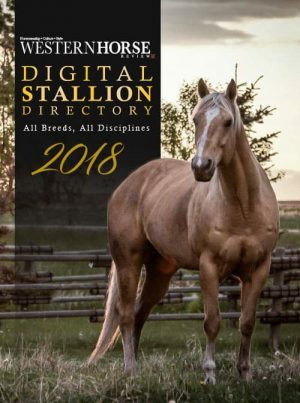 Imprint Phantom Eagle Heart – the 2017 WCMHA Hi Point Country Pleasure Driving horse and the 2018 Canadian National Reserve Grand Champion Country and the Western Regional Reserve Grand Champion 32″ & under Country Pleasure Driving horse. Owned by Saffire Miniatures. 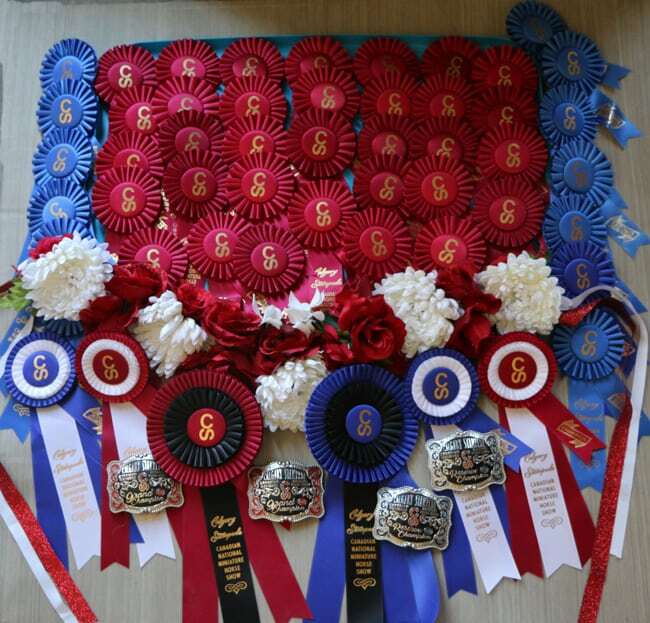 Ribbons won by Saffiire Miniatures from the 2018 AMHA Canadian National Horse Show. 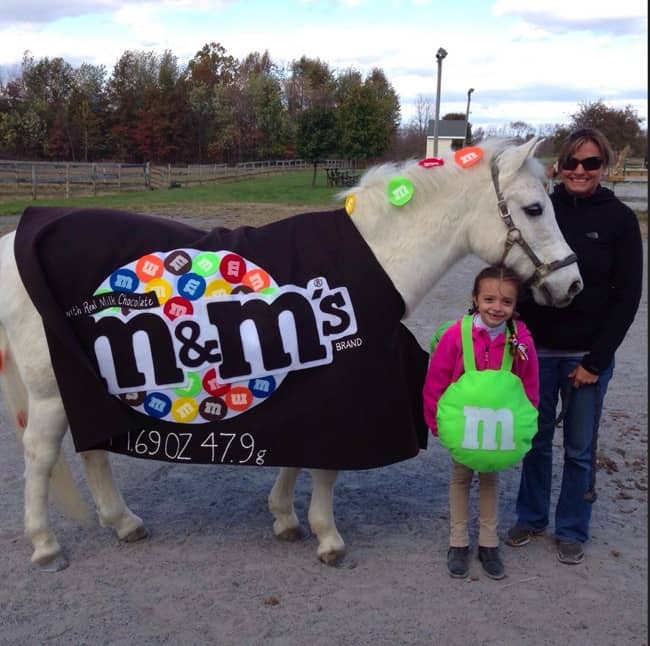 Sandy’s daughter, Megan won a large number of championships in a number of disciplines with Candylands Pattoned Payday this year. 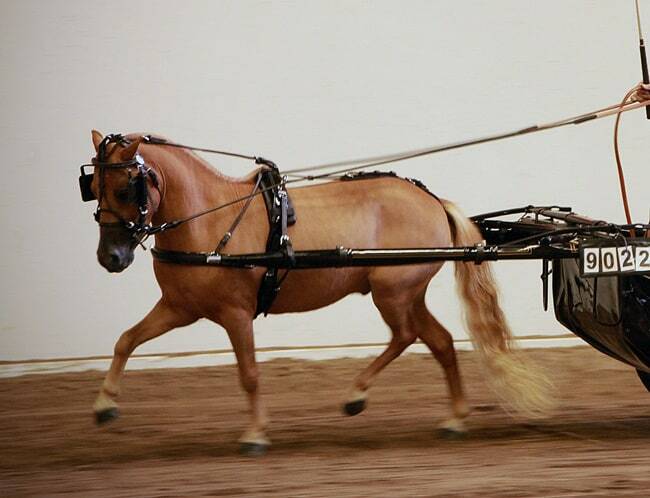 This included the 2018 Canadian Grand Champion Classic Pleasure Driving Championship. 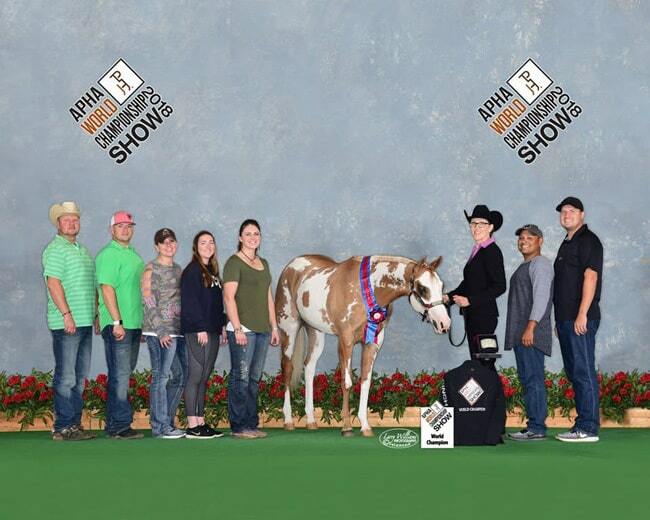 They also won AMHA Honor Role Championship buckles in 2017 for Showmanship and Youth Classic Pleasure Driving and they won the 2017 WCMHA Hi Point Performance Horse, High Point Youth, and AMHA Superior Gelding Performance Champion as well as numerous other high point awards last year. 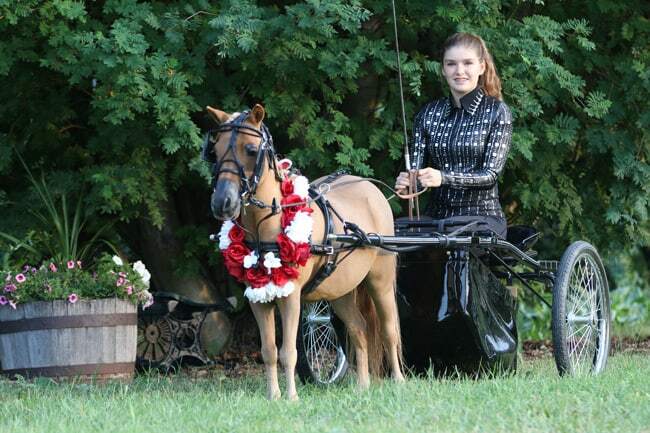 Megan Resch and Candylands Pattoned Payday t won a large number of Championships in a number of disciplines with their Garland for winning the 2018 Canadian Grand Champion Classic Pleasure Driving Championship. 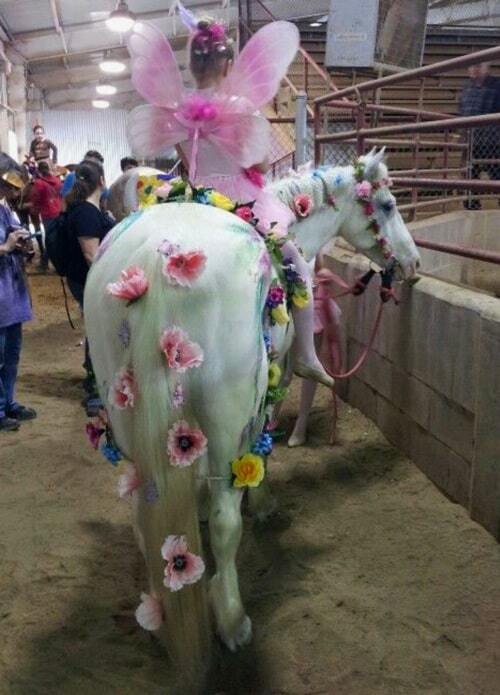 “We have had long time, prominent Miniature horse people comment on the condition and coats of our horses. All of us here at Saffire Miniatures are very strong believers in this product and will never go without using Praise™ hemp in our feeding program,” Sandy declares. 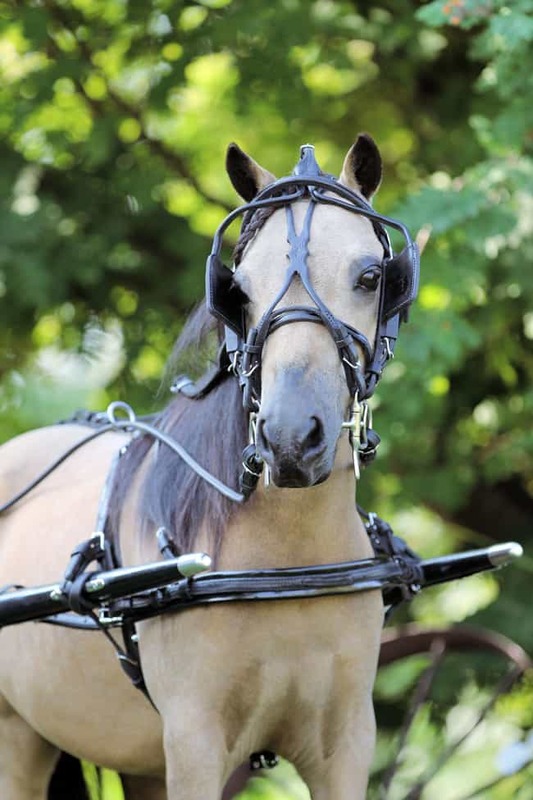 This buckskin gelding from Saffire Miniatures has won numerous Classic Pleasure Driving Championships and was the 2017 WCMHA Hi Point Classic Pleasure Driving Champion. 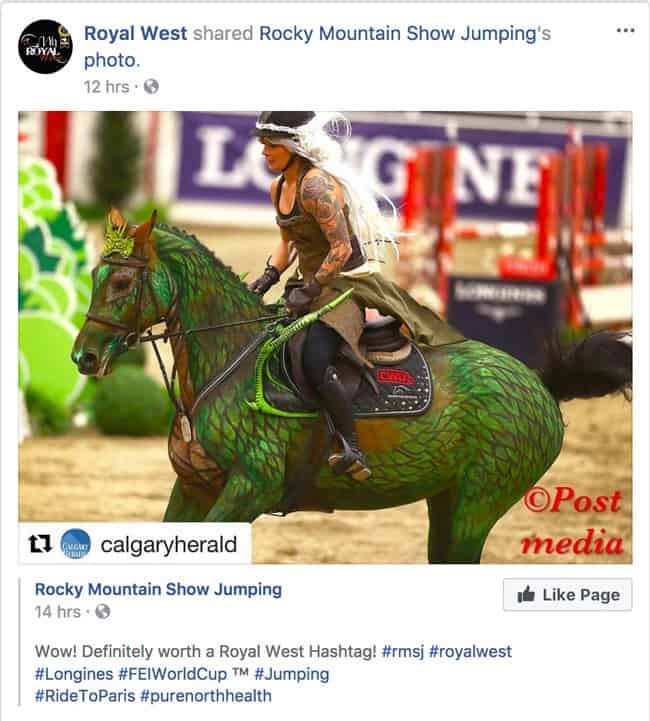 He was also the 2018 WCMHA Hi Point Hunter Horse. For more information on Praise™ hemp, please check out their website here. A picture is worth 1,000 words. Photo by Larry Williams Photography. 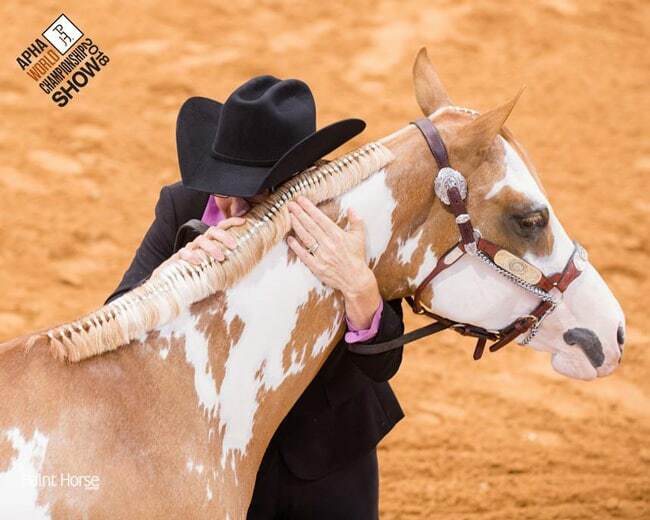 Big congratulations goes to Sandy McCook of Buck Lake, AB, and We Should B Friends (a home-bred and raised Paint filly) on their recent WORLD TITLE in the Open Class of the Amateur Yearling In Hand Trail at the 2018 APHA World Championship Show held at the Will Rogers Memorial Center in Fort Worth, TX! McCook raised the filly (and her momma too), and then the filly was sadly orphaned at eight-weeks-old. McCook and We Should B Friends in action. 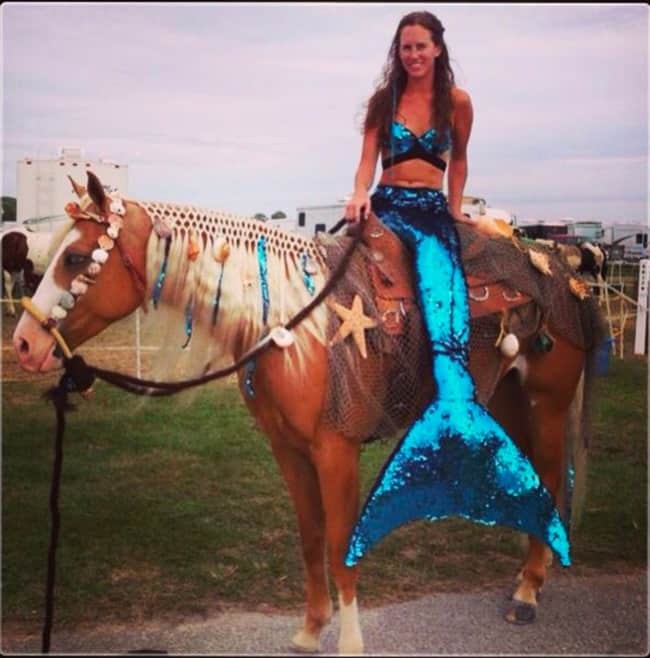 If you’re headed to the Canadian Finals Rodeo next week, we’ve got some outfit inspiration for you! There’s no denying it’s the perfect venue to bring out the good stuff. We also know it can be tricky to stay warm in a Canadian winter and look amazing at the same time. Not to worry, we’ve got you covered! 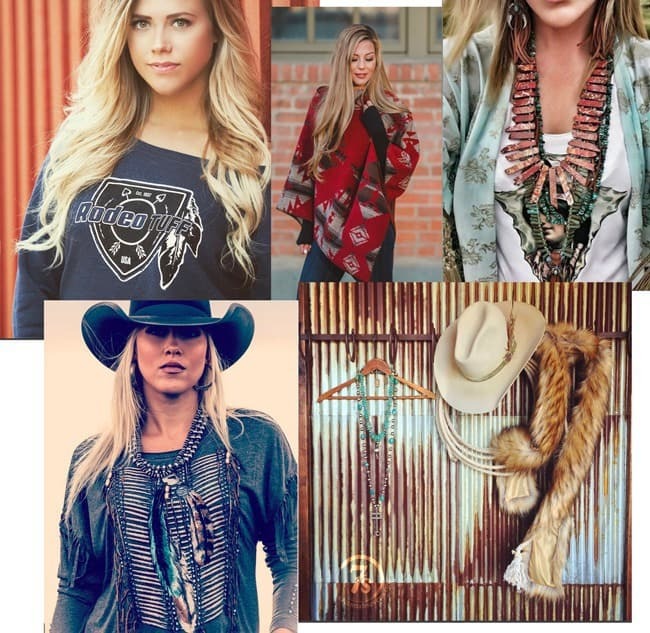 No matter your preference – boho, traditional, vaquero, urban, haute couture, or gyspy – this blog aims to satisfy the cowgirl fashionista in all of us. Layering is a big deal this year. 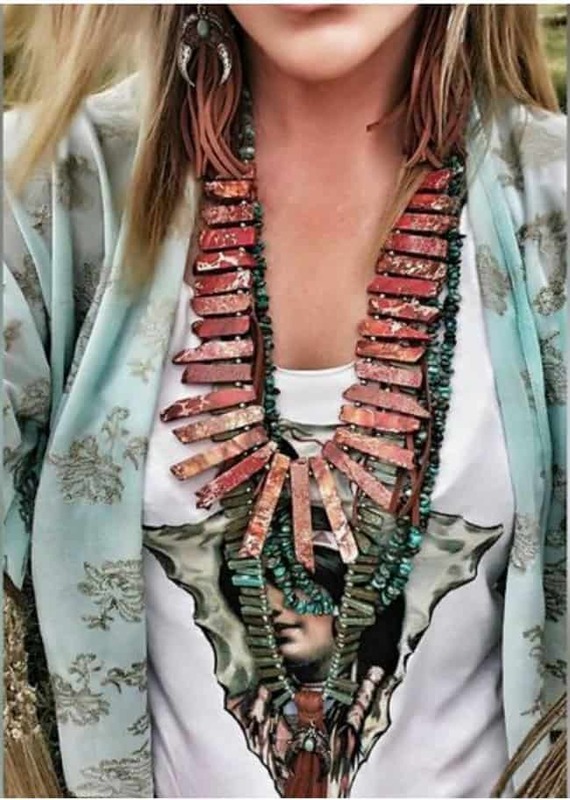 As seen in this look by The Wacky Wagon Fashion, a turquoise kimono and tee are paired with strands of beautiful turquoise necklaces. Cody & Sioux just brought in these perfect new poncho arrivals, just in time for a winter storm! Unlike a wrap, these cozy beauties slip over your head and promise to keep you warm and fashionable all evening long. Savannah Sevens can seemingly do no wrong. This faux fur boa fling is the ultimate accessory. With its gorgeous variation in color and lined satin inside, it’s the perfect item to drape yourself fashionably in warmth. 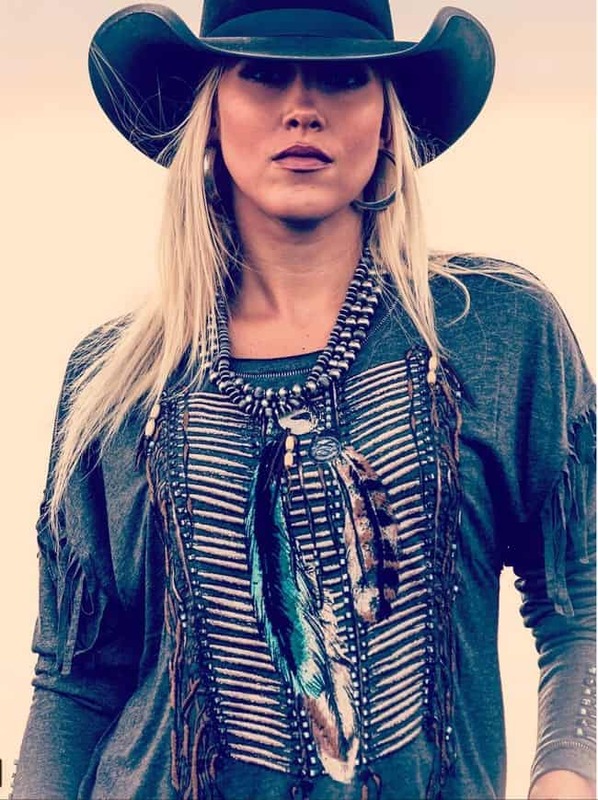 Shown styled with The Lonesome Dove hat, Tallon Necklace and Burke Necklace. This adorable (and comfortable!) 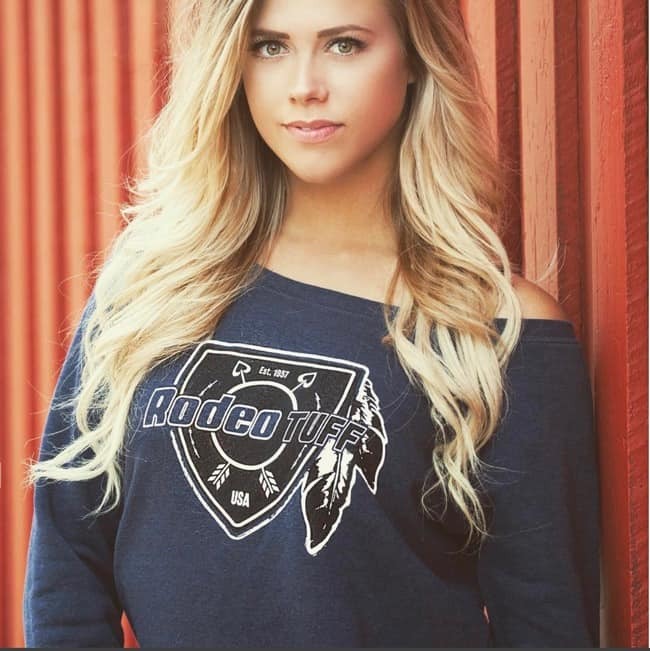 fleece “slouch” sweatshirt from Rodeo Tuff is feminine, cozy and versatile. It’s designed with an exceptionally plush fabrication, in a classic pullover fit with a wide neck that can be worn pulled off the shoulder. Sweaters and tees with cheeky sayings are all the rage. Wear them on their own, or pair them with kimonos, denim jackets or dusters. This one from Tonic Equestrian will make you look fabulous no matter where you are and is an essential for any fashionable equestrian! This stylish, easy to wear top is designed to drape comfortably over the body with a wide neck and ribbed waist. 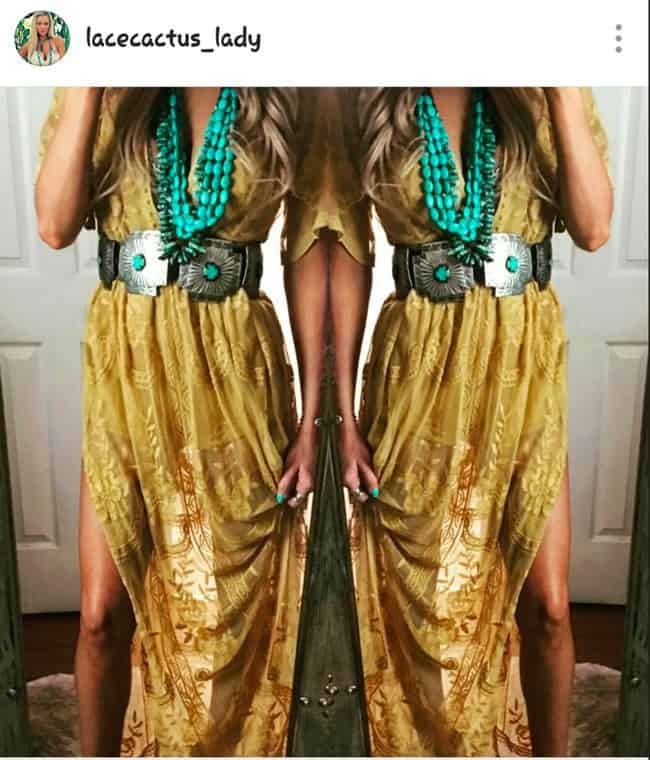 Mustard is the color of the year this year. If you’re looking for a dressier look this CFR, then a mustard colored duster is the way to go. 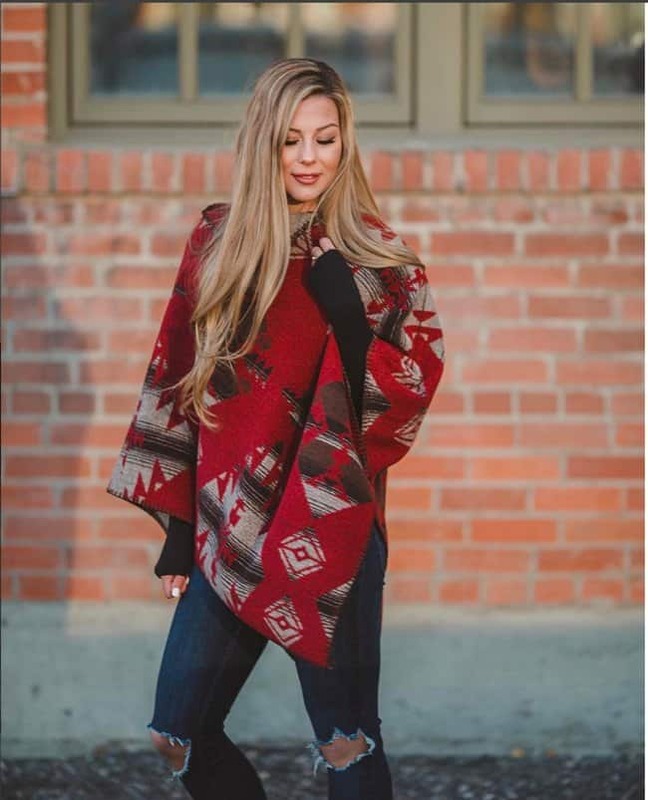 We love this look from The Lace Cactus. 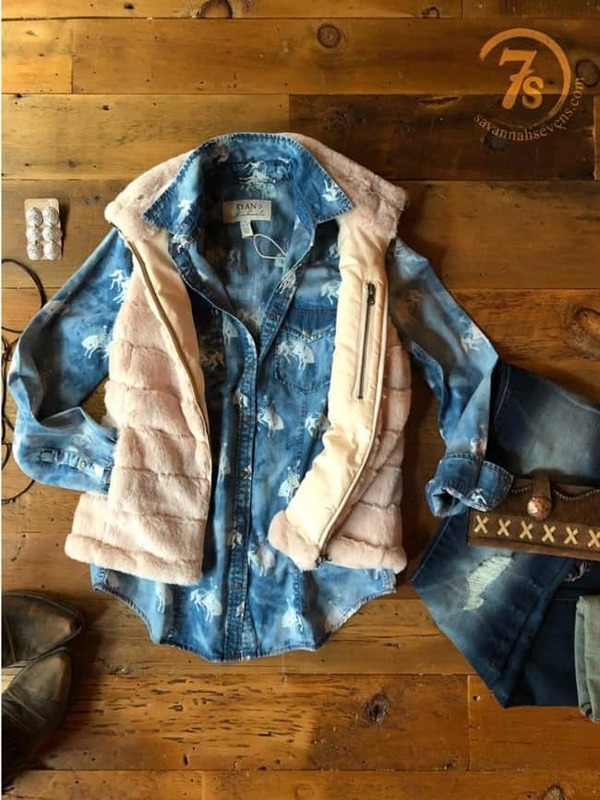 Denim on denim, plus an ivory silky faux fur vest by Dylan, literally warms our hearts on a chilly day! This is another look from Savannah Sevens, featuring a Ryan Micheal shirt and a puffer style vest by Dylan. Shown styled with The Doc Bar Wallet, Calhoun Earrings, Rogue River Necklace and The Bronc Buster shirt. 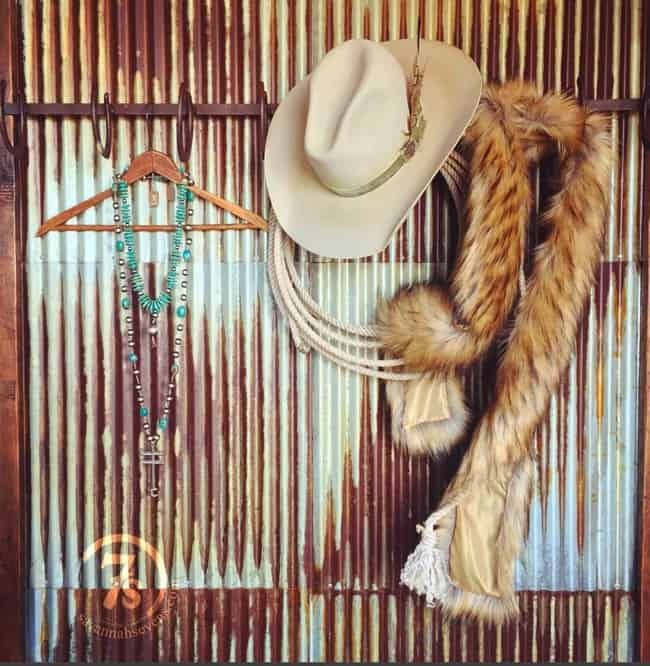 This look from Classic Rodeo in Nanton, AB, features a shirt from Double D Ranchwear, a Goldspring Hat, and Navajo Pearls. 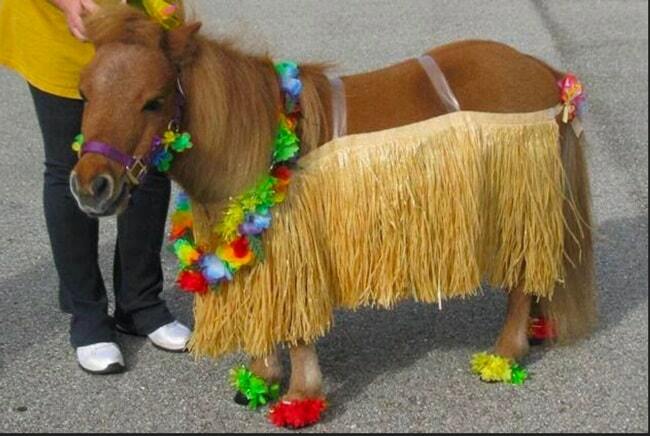 Don’t let your CFR outfit planning be overwhelming this year. These looks will take you stylishly from day to night and keep you warm in the process. See you in Edmonton! A view from the first turn. I’ll Have Another is seen here in the middle of the pack. He shortly thereafter burst through and went on to win Kentucky Derby 138. CREDIT: Churchill Downs/Reed Palmer Photography. 10 – Unfortunately, not everything in the world of racing is cheerful and exciting. In 1899, Meriwether Lewis Clark, founder of the Kentucky Derby, committed suicide just a few days prior the 25th running of this prestigious event. 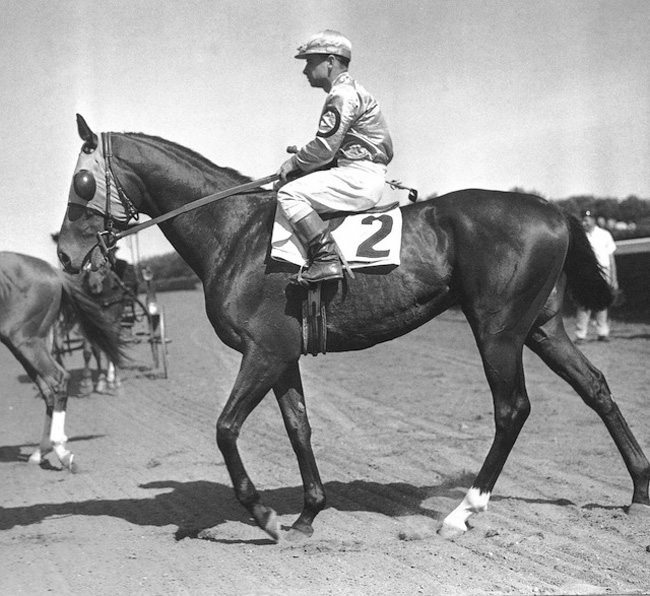 9 – In 1919, Sir Baron won the Derby, becoming the first winner in history of the Triple Crown of Thoroughbred Racing (a term that didn’t become official until the 1930’s Derby, when the New York Times used it to describe the combined wins in the Kentucky Derby, the Preakness Stakes, and the Belmont Stakes). Count Fleet before the race in 1943. 7 – Not even World War II could cause this beautiful sport to press pause. During 1943, regardless of the war-time restrictions, 65,000 fans gathered at Churchill Downs to see “Count Fleet” take the tittle home. 6 – 1968 marked a turning point for the sport, as “Dancer’s Image” became the first winner to be disqualified. After the race, “Dancer’s Image” tested positive for an illegal medication. Thus, the purse was taken away from him and awarded to the second-place finisher. 5 – Stick it to the man! 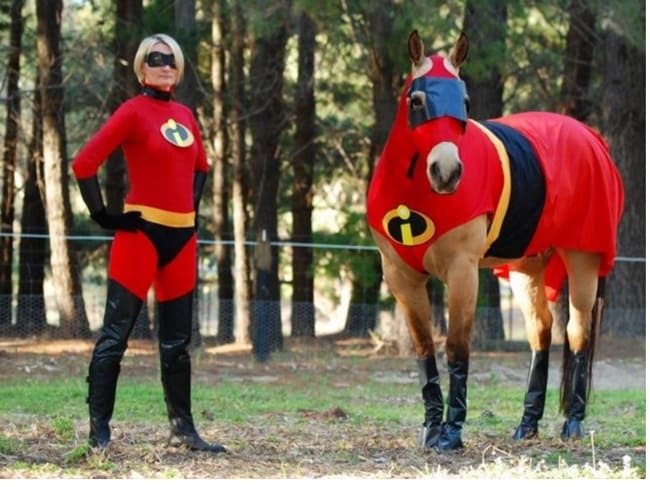 In 1970 Diane Crump became the first female jockey in history to ride in the Kentucky Derby race. 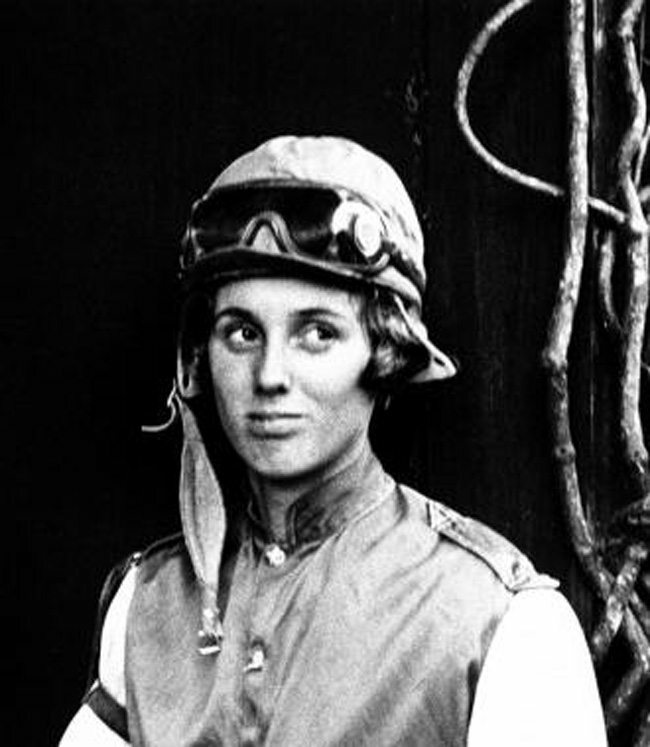 Even though Crump finished 15th out 0f 18 horses, she sent a strong and clear message to everyone watching, and brought women to the forefront of horse racing. 4 – During the 99th running of the Kentucky Derby, famous “Secretariat” won the race establishing the fastest finish time to date. He completed the race in just 1:59:40. Not only that, but “Secretariat” went on to win the Triple Crown, for the first time in 25 years. What an amazing athlete! 3 – In 1977, Seattle Slew wins the Kentucky Derby and goes on to win the Triple Crown. 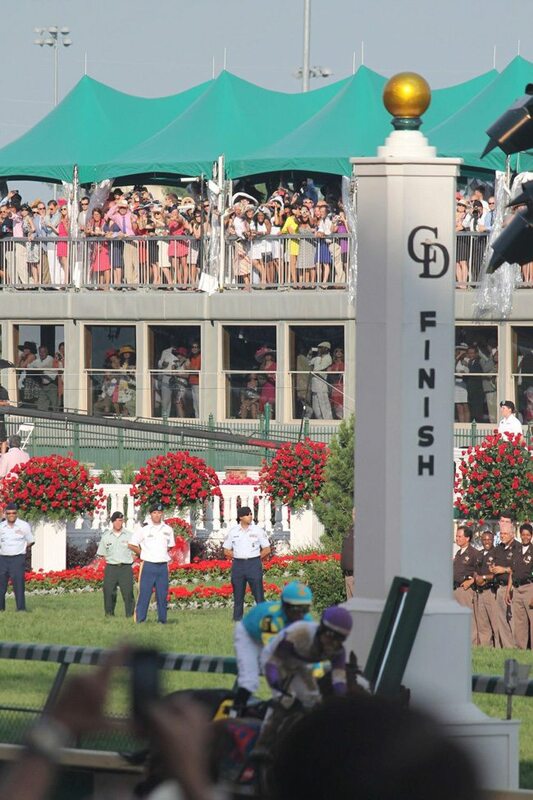 He becomes the 10th Triple Crown winner, and only horse in history to achieve that tittle while remaining undefeated. 2 – The early 2000s caused an array of emotions to the millions of fans all around the world. 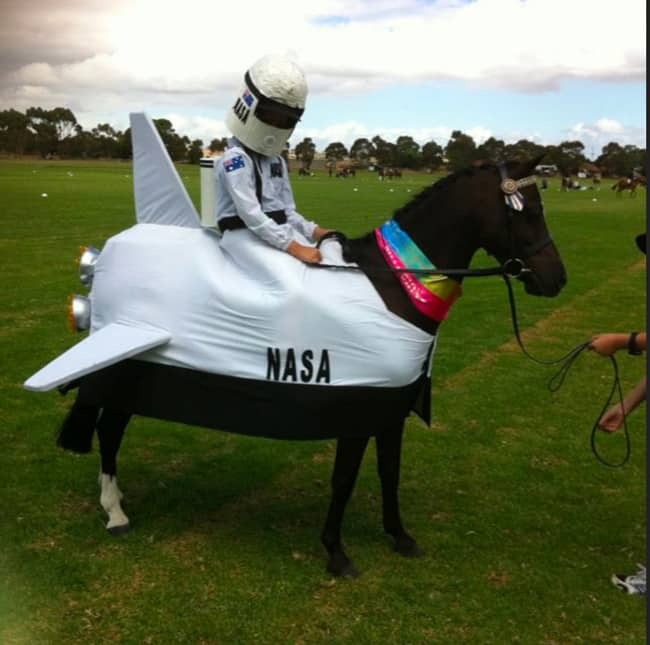 2000 marked the third century in which the Kentucky Derby was run. Six years later, “Barbaro” would become the winner of the Kentucky Derby by six-and-a-half lengths, recording the largest victory since 1946. Unfortunately, Barbaro was injured a few weeks after, and passed away due to complications of that injury. He stole the hearts of millions of fans, and in his memory, a bronze statue was placed above his remains at the entrance of Churchill Downs Racetrack. 1 – With the 143th edition of the Kentucky Derby happening today, we can’t help to look back to its very beginning and wonder; what makes the Kentucky Derby so special, so unique? It might be the fact of how little the event has change since its very first “Run For the Roses” back in 1875. As many other sports evolve and progress in many ways, the Thoroughbred Racing world has remained unchanged: same location, (Churchill Downs), same date (first Saturday in May), same breed and age (3 year old Thoroughbreds), and even similar fashion sensibilities. 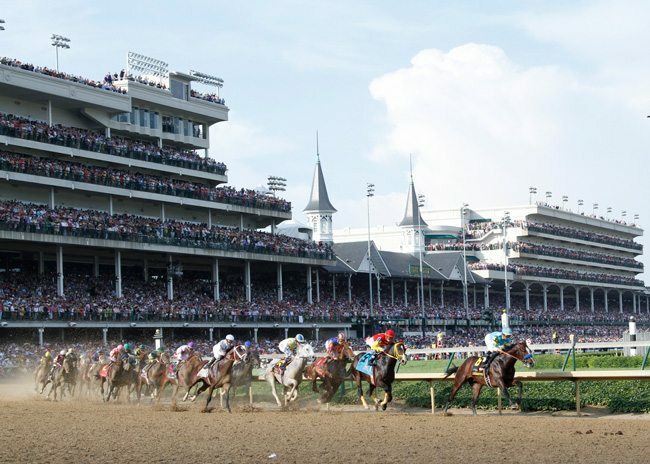 All these factors have shaped and molded the Kentucky Derby into what is today, and will help it withstand the test of time for many years to come. That’s a wrap, folks! 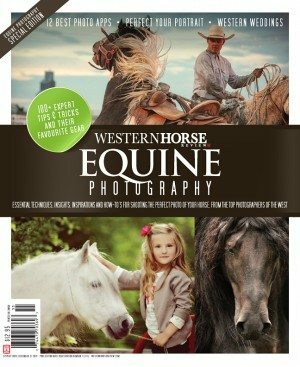 Western Horse Review Magazine had the pleasure of attending the 11th annual Mane Event Expo held at Westerner Park, in Red Deer from April 21-23, 2017. 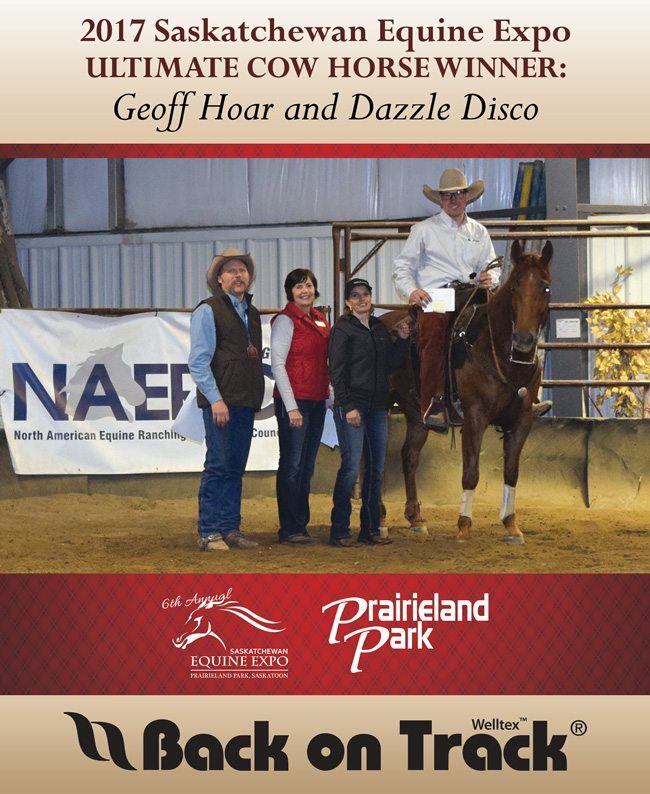 This year’s event hosted amazing clinicians and speakers who presented a great variety of disciplines and topics; from barrel racing and ranch roping, to dressage and jumping, to driving the horse and tack fitting. Plus, the well anticipated “Trainers Challenge”. But what would be an expo without the shopping? The Trade Show, as expected, didn’t disappoint. 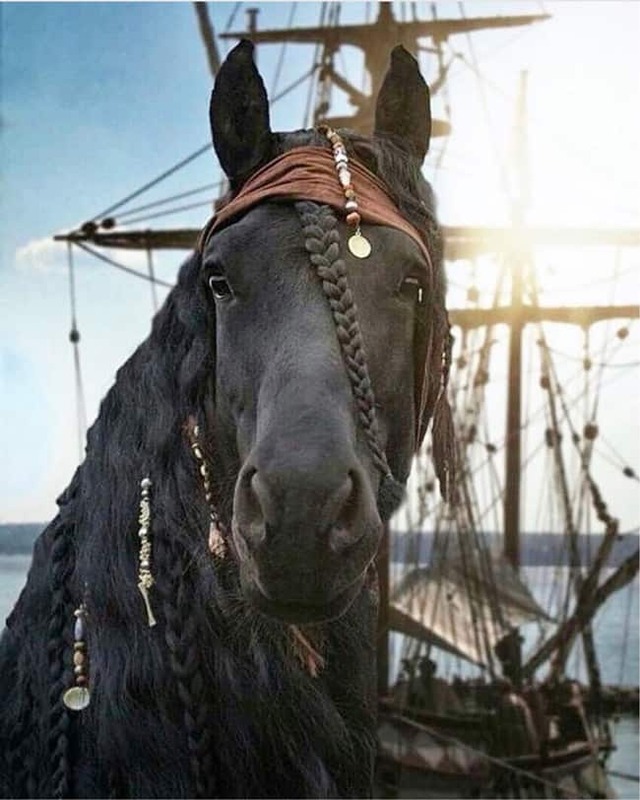 With an array of options for everyone, from jewelry made from your horse’s hair, to saddles and farrier equipment. 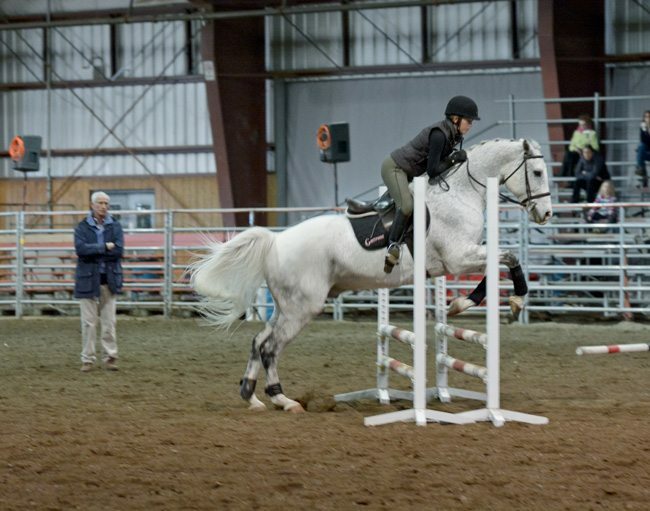 Highlights of the expo included presentations by Van Hargis and Peter Gray (over 35 years of experience in the show arena and Bronze medalist at the Pan Am Games in Eventing, respectively) who filled both arenas with thrilled spectators. 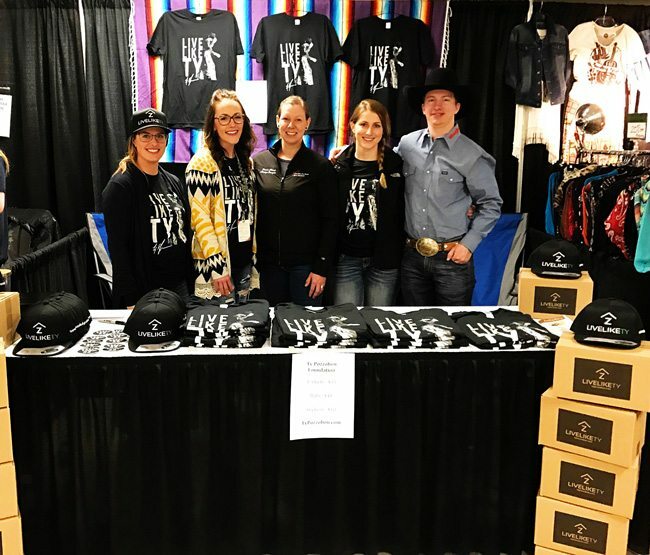 There was also the “Live Like Ty” booth, which commemorated the loss of champion and an exceptional individual – both on and off the arena – Ty Pozzobon. Looking to raise awareness, protect and support the health and well-being of rodeo competitors and hosted by the Ty Pozzobon Foundation, a presentation on Liberty Training was conducted by Kalley Krickeberg. 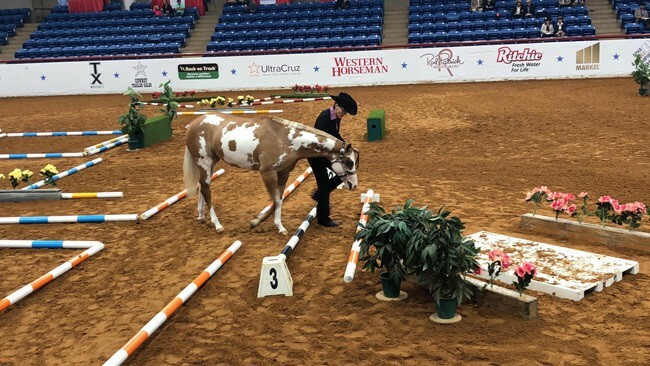 During this time, Krickeberg taught the audience how to build awareness and educate the horse’s instincts, in addition to presenting other interesting topics. 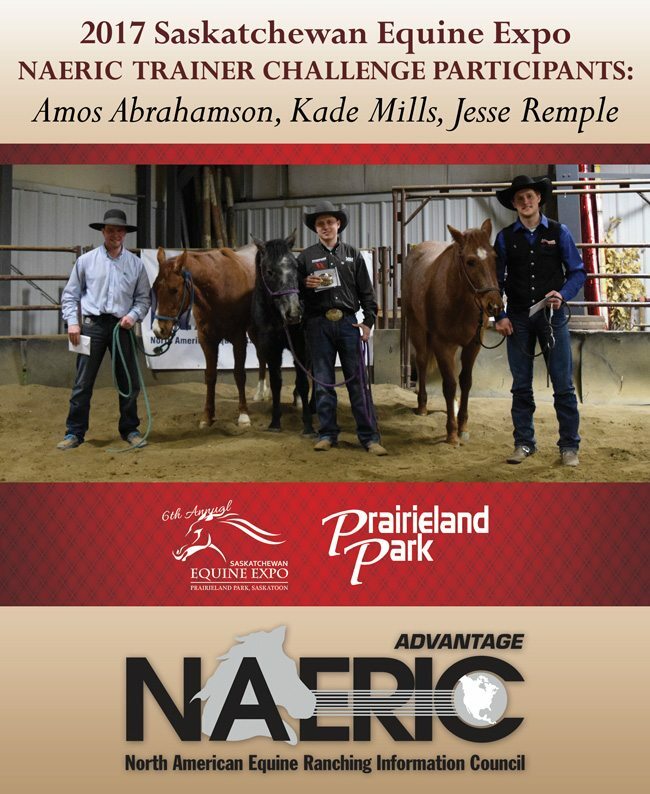 The always anticipated Trainers Challenge consists of a three-day event and this year’s competitors Glenn Stewart, Martin Black, and Shamus Haws went head-to-head, putting their skills and knowledge to the test. 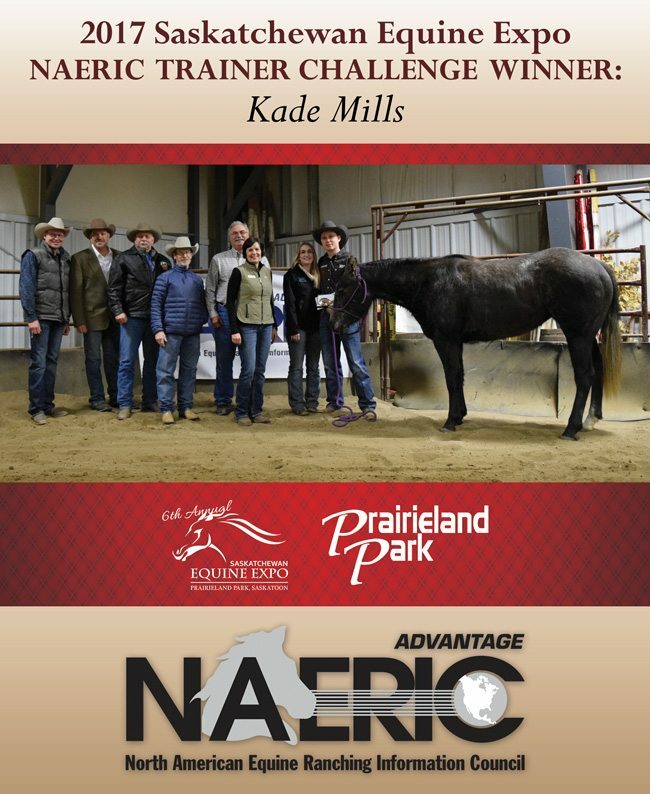 Each trainer relayed their methods to the audience while handling unbroke horses provided by Ace of Clubs Quarter Horses. In a progression that usually takes between 30-60 days, these amazing trainers managed to achieve it in just as little as 96hrs! After Sunday’s final session, Martin Black was named the champion of the 2017 Trainers Challenge. 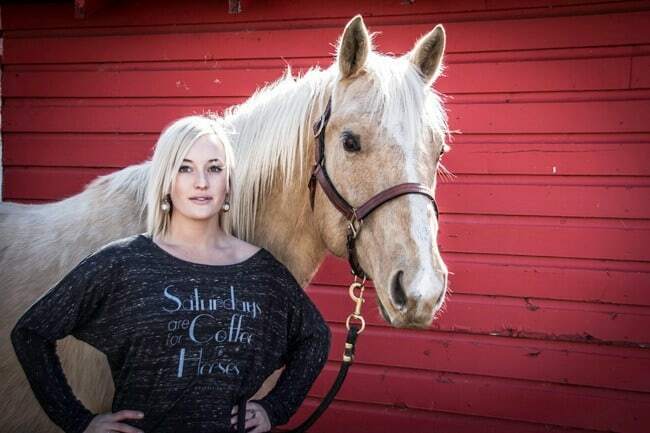 On Sunday afternoon, Western Horse Review had a wonderful visit from the Calgary Stampede Royalty. 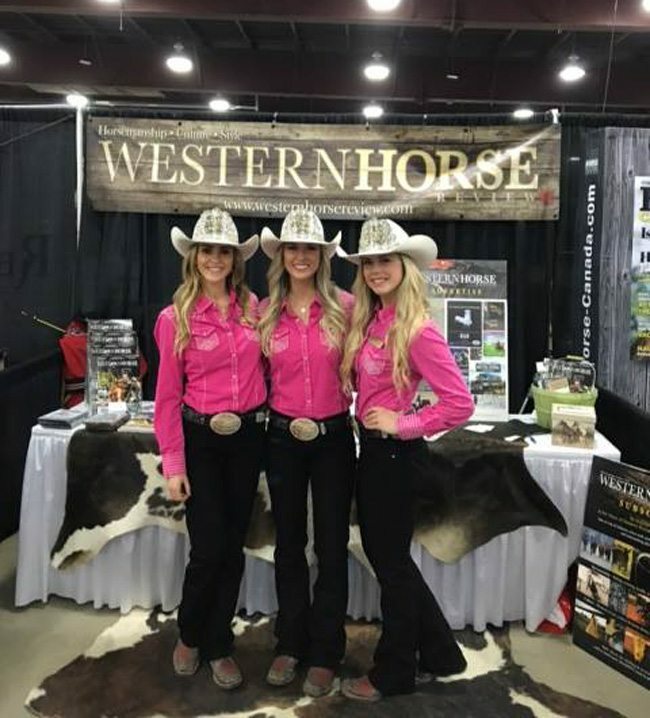 Queen Meagan Peters, Princess Brittany Lloyd, and Princess Lizzie Ryman helped us draw names for our give-aways for the expo and delivered Western Horse Review goodie bags, plus had pictures taken with the public. 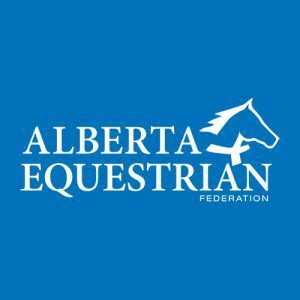 After the conclusion of the Trainers Challenge, people gathered their belongings and shopping articles, loaded their horses into trailers and this year’s Red Deer, AB, Mane Event came to a closing. We hope to see y’all at the next Mane Event, which will be held in London, Ontario from May 12-14, 2017! 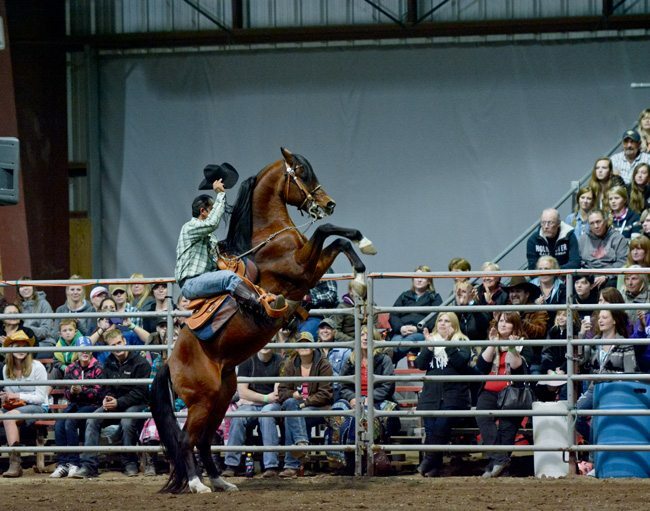 The Okotoks Agricultural Society will play host to a special event this Sunday, March 19, as a one-day colt starting demonstration will be conducted by Alex Alves (Bassano, AB) and Nick Baer (Olds, AB) – all in support of the Alberta Children’s Hospital Foundation. All proceeds generated from the event will be donated directly to the hospital. This includes ticket sales, donations and any other funds raised. “This is something we have been planning for quite some time and are very excited to finally announce the details!” says Sonja Alves, one of the main coordinators of the day. The doors will open at 10 am with the first demo starting at 10:30. March 19 will be an excellent opportunity to come and watch two horse trainers demonstrate their techniques and support a great cause. 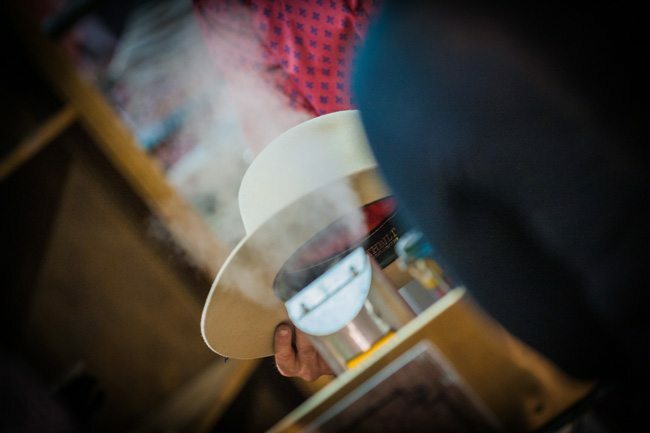 Farrier Chad Lausen will also conduct a horseshoeing demo, while JR’s Hat will be offering hat cleanings or re-shapings for a donation to the cause! 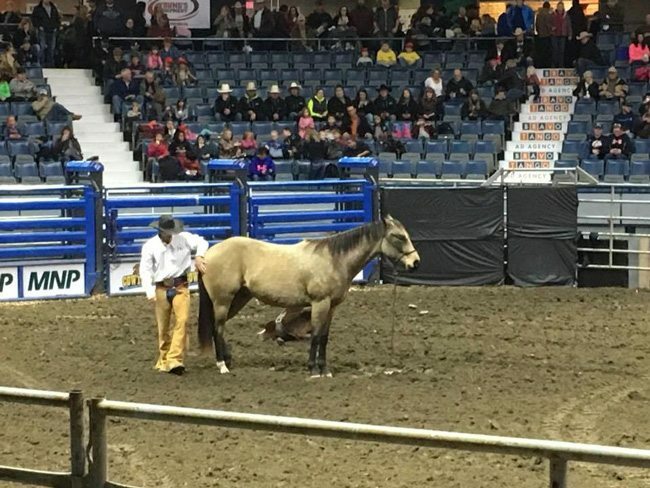 Alex Alves at the Saskatchewan Agribition, Trainer’s Challenge. Alex Alves operates Hat Creek Performance Horses near the town of Bassano, Alberta. 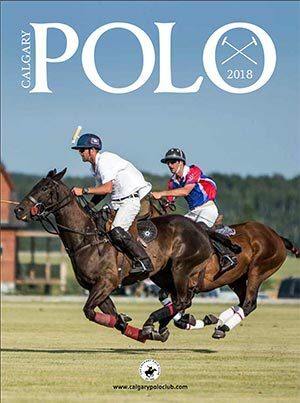 Growing up in the horse industry allowed Alves to develop as a horseman through the many disciplines he either competed or worked in, ranging from hunter jumpers, to western and English pleasure, track and polo horses, and rope horses. Every discipline taught him something valuable. Along with every horse. 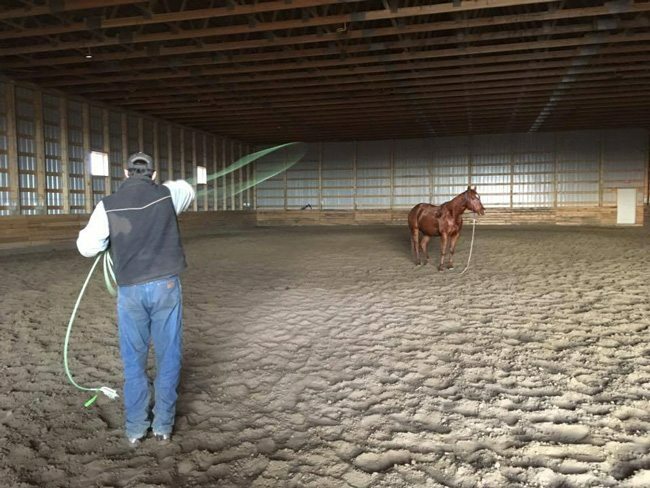 Today, Alves starts young horses on the right track for any discipline and finishes them to a focus in roping, cutting, or cow horse. Nick Baer operates Running Bar N Horsemanship and is currently a student at Olds College, studying for his advanced farrier sciences. Baer began learning at a young age about how to start his own horses and has dedicated himself to better horsemanship. Learning his techniques from horseman Doug Mills and Bob Kaufmann he began furthering himself. 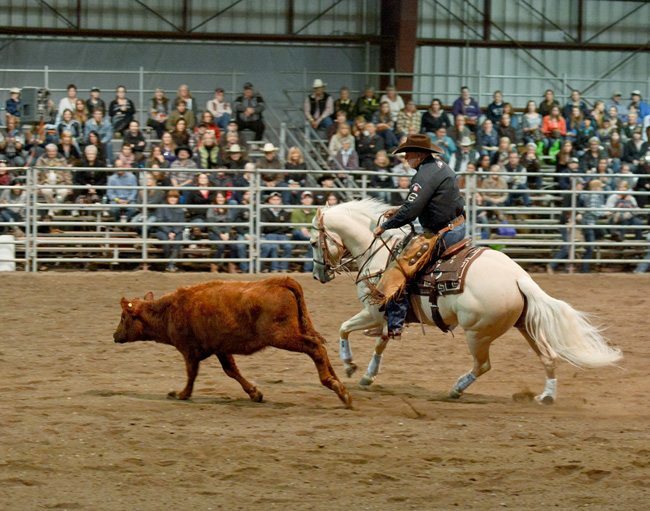 His dedication has shown at competitions at the Daines Ranch and Rocking Heart Ranch. Baer himself has spent many hours in the Alberta Children’s Hospital as he was diagnosed with Type One Diabetes at a very early age. He lives every day with a insulin pump and is excited to have a chance to give back. Chad Lausen is a graduate of the Olds College Advanced Farrier Sciences program and operates his business out of Strathmore, AB, currently. Lausen has earned the reputation as being extremely hard-working, with a dedication to the horse. He likes to continuously improve his skill set. 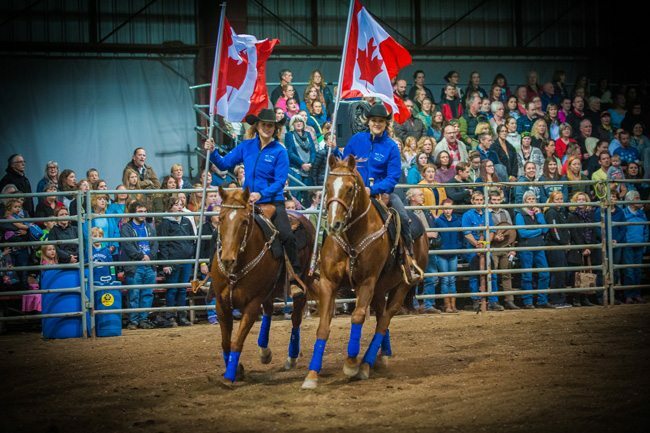 Lausen also consistently represents Alberta and Canada on the world stage at farrier and blacksmith competitions across North America, as a past team member of the Western Canadian Farriers team and as an individual. This year Lausen will once again represent Alberta at the World Championships of Blacksmithing in Madison, Wisconsin. The use of two fillies have graciously been donated for the day by Rocking Heart Ranch. Doors will open at 10am with the first demo starting at 10:30. Minimum donations/admission of $10 will be collected at the door. Contact Alex Alves at 1-403-909-5664 for more information.